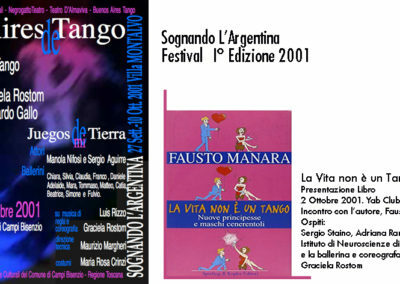 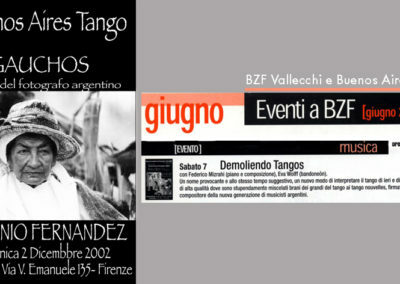 Buenos Aires Tango have organized together with some other Florentine associations the Festival Sognando L’Argentina, Villa Montalvo; the presentation of the book La Vita non è un tango written by Fausto Manara, his meeting with Sergio Staino, Yab Club, Florence; the photo show Gauchos of the Argentinian photographer Antonio Fernàndez and Demoliendo Tangos in concert, BZF, Florence. 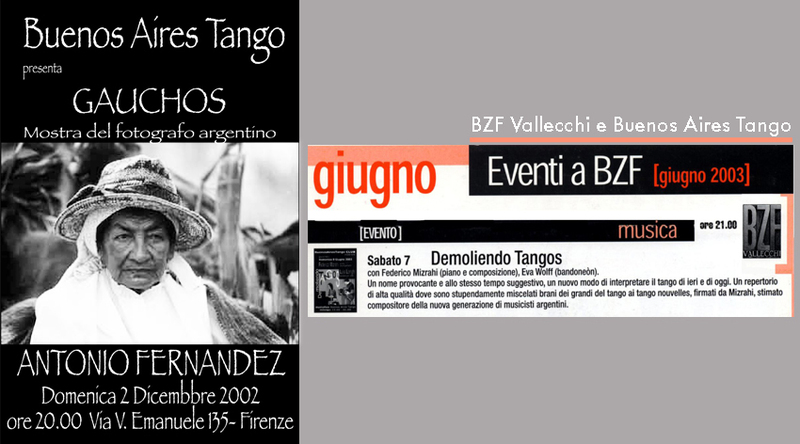 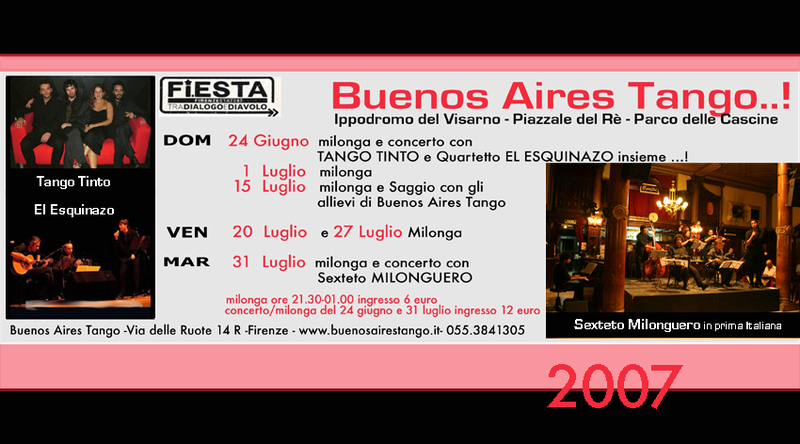 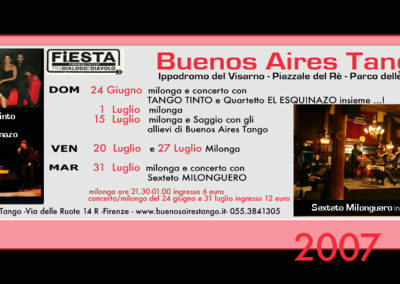 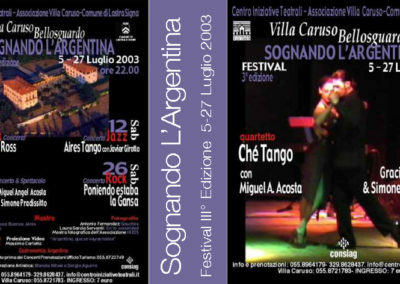 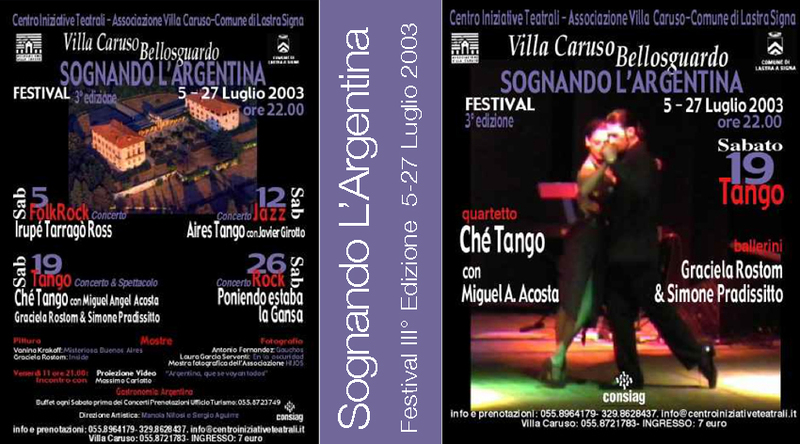 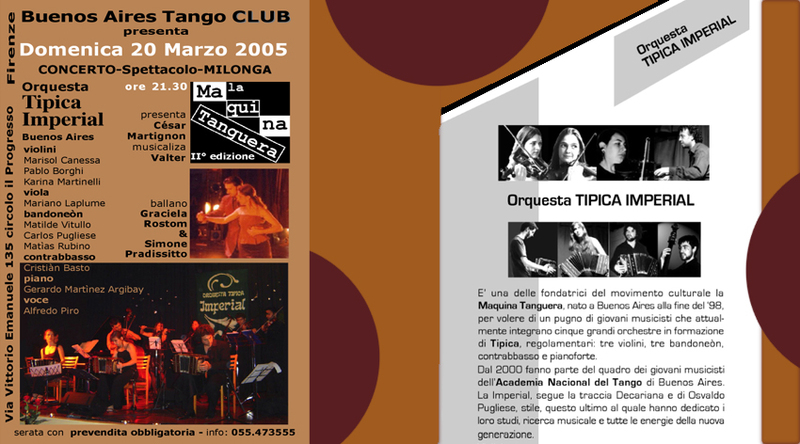 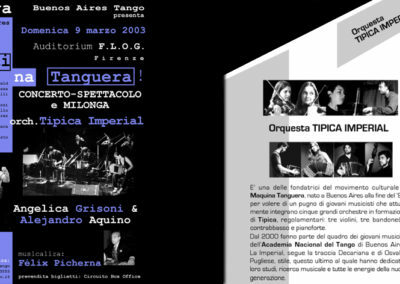 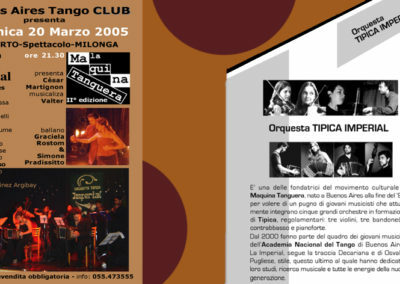 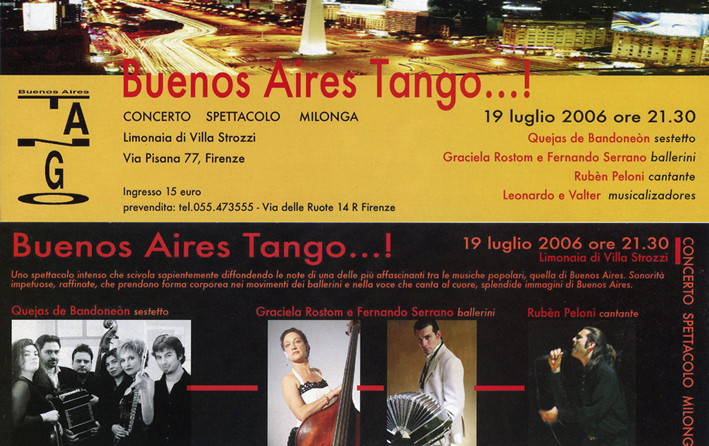 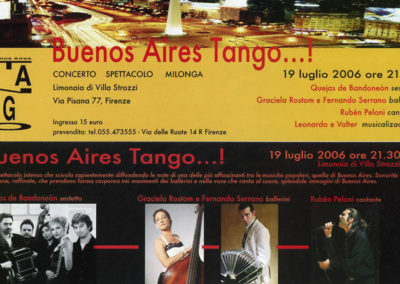 Buenos Aires Tango have also created and organized the two performances of La Máquina Tanguera Concert-Show-Milonga, bringing to Florence one of the young eleven instrument orchestras, which are the pioneers of the Argentinian musical and cultural movement called La Màquina Tanguera. 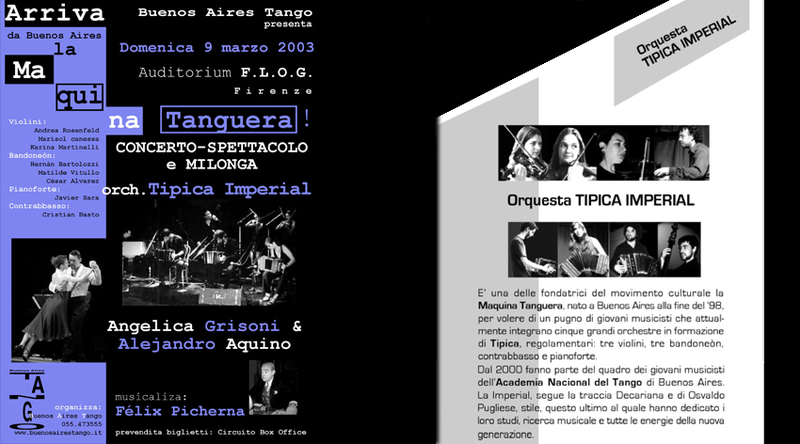 Auditorium FLOG e BuenosAirestango CLUB. 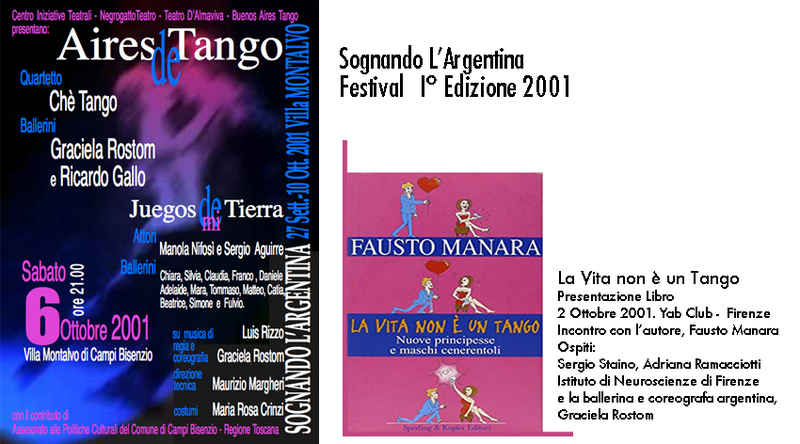 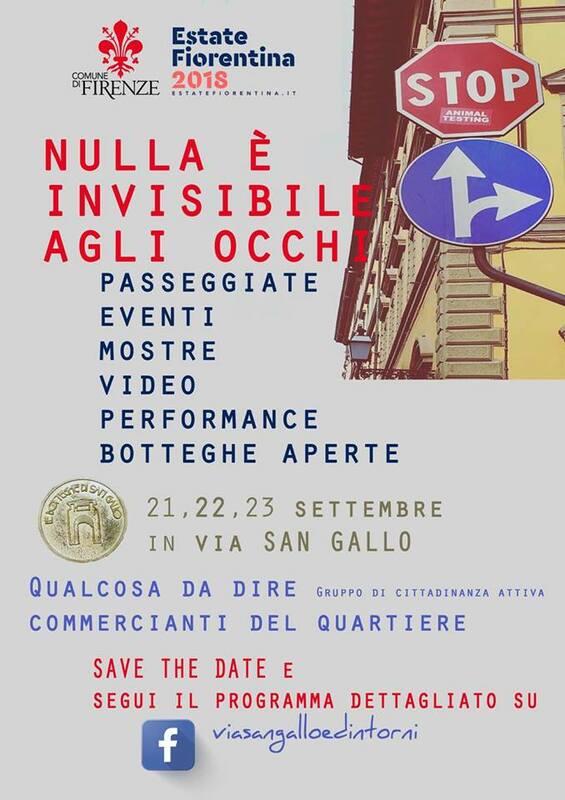 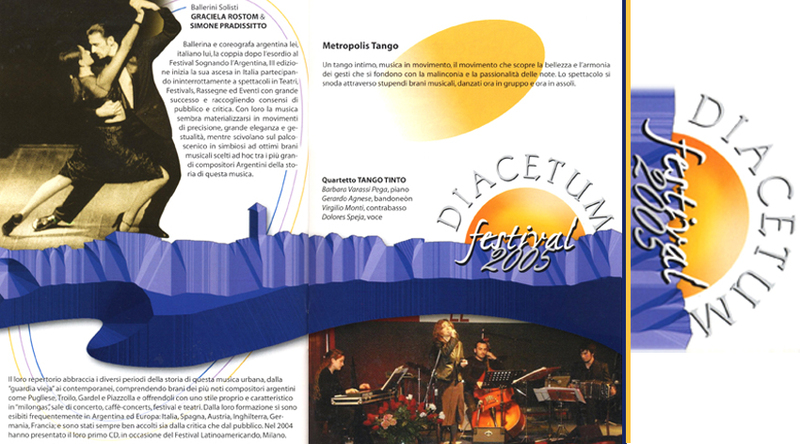 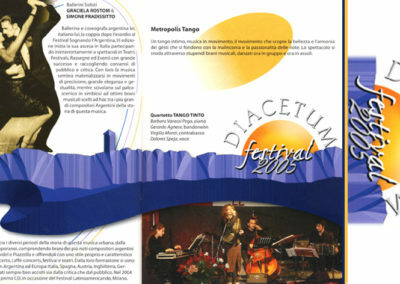 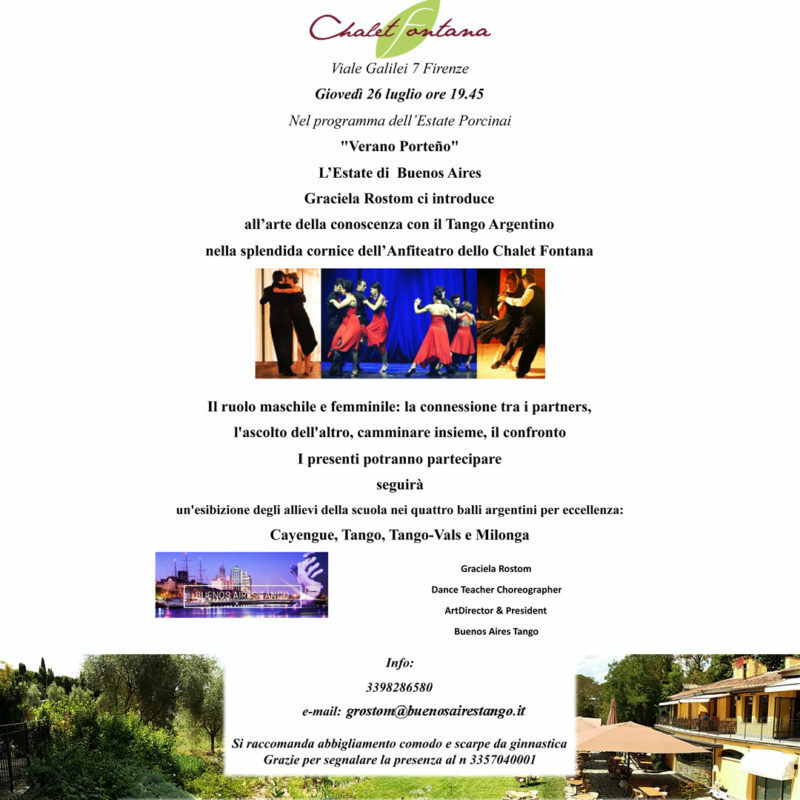 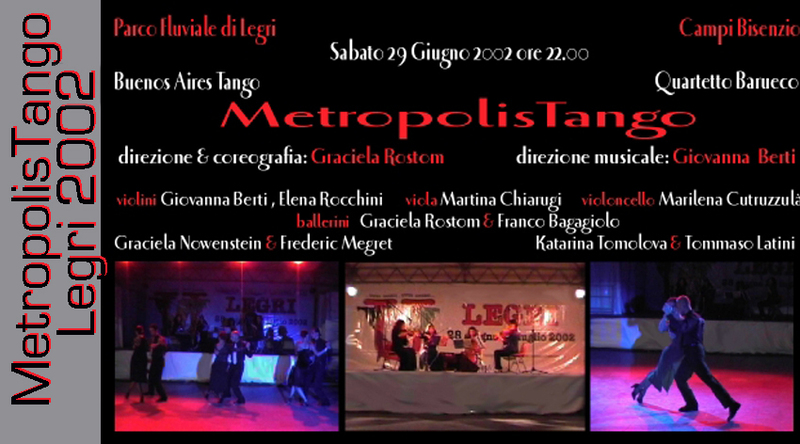 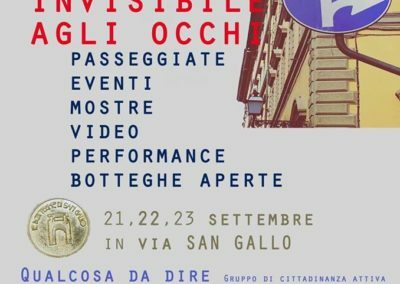 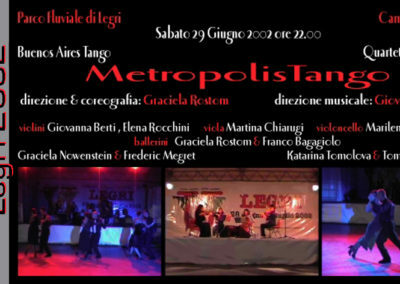 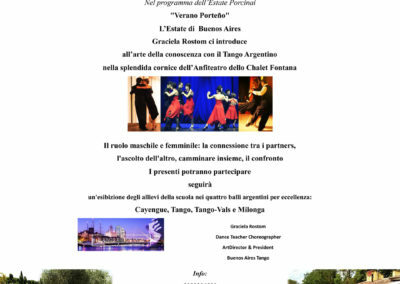 Moreover Buenos Aires Tango have held the show MetroPolisTango with dancers and musicians at Festival di Legri, Parco Fluviale di Legri (Florence) and at the Diacetum Festival, Pelago (Florence).